Retail sector in India has witnessed a remarkable transformation over the last two decades. Rising income levels, urbanization, and changing consumer behaviour has given an optimistic outlook to the sector, promising an undoubted growth in the future. The digital medium has influenced retail with a powerful strike, reshaping customer behaviour and expectations. Today, the retail sector is undoubtedly facing a major upswing with 100% FDI flow. It is among the top three employers in India. Being one of the largest industry, retail employs a large number of people across every corner of the country. Most of these employees are unskilled. Because of a huge demand and lack of supply, the focus on getting people trained is missing. Thought process is to get a physical body in the store who can attend to the customer and push the product. Customer experience is missed at most of the cases. The other challenge is that an organization has different partners for manpower, and training. 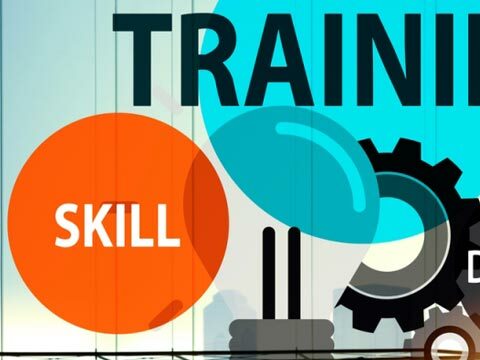 When a manpower agency provides people, they don’t bother too much about the skilling aspect and when the training organization takes it up, the focus is to take up a topic and impart that training. Ownership gets dropped. To become a successful sales person, being aware of the product is imperative. Sales is only possible when you know your product / offering well. Hence a deep product knowledge is critical for a sales person and this must be complemented by the necessary understanding of the various tools that are used to close a sale. This may include billing softwares, demo usage, presentation skills etc. Soft skills are the life line for any salesperson. Basic soft skills that a sales person must incorporate includes- grooming, correct body language and posture. However, just this is not enough, today a sales person must know how to drive an engaging conversation with a customer, analyse customer need, upsell, handle objections and of course close a sale effectively. A good salesperson is one whose interaction is remembered and recommended by the customer. Now think about a scenario where there is a single organization for manpower and training. The agreement is to provide skilled people. This suddenly will change the dynamics of the industry as the focus will be to provide the right skilled employees. The maximum growth for retail will happen in smaller towns and with the entire digital campaign run by the Indian Government, internet is becoming a basic hygiene. What had stopped the growth so far is now being provided at a very nominal cost. One big reason for not skilling people was the need for physical interventions. While there is no replacement for physical training, but with the digital growth, online learning, video based learning will reduce the need of physical learning. The industry will soon see an influx of low cost but very effective digital training which will focus on improving the customer experience. This will overall strengthen the retail industry as skilled people will lead to better customer experience, improved sales & efficiency, more money and thus lower attrition rate. Skilling will make the industry as a whole, more organized in terms of manpower. To Summarize, with over 20 years of experience in managing large manpower programs, the biggest challenge that we have seen is the lack of focus on training and that too the softer aspects. The other challenge is the managers who are managing ground level people. They have become managers because they have more years of experience, but they haven’t gone through a formal team management training. A data says that, in retail, most of the attrition happens in the first 60-90 days of employee joining. That is the period when a manager needs to step in to mentor the employee. With the growth of e-commerce organizations, retail actually has got another boost. Now smaller town people have also got a taste of brands. Hence more and more stores are opening up across the country. Online players like a Xiaomi or Myntra or a First Cry, all opening up brick and motor stores is a sign of retail growth. Therefore, there is a huge opportunity for manpower and training organizations to latch on to this opportunity and go the digital route to build a continuous and effective skilling program for the retail industry.